DuckDuckGo, the best anonymous alternative to the likes of Google and Bing, has just taken the wraps off some serious improvements. The search engine now matches your query to images, places, recipes and lots more — all without keeping any data about you. DuckDuckGo has existed since 2008, but leapt into the spotlight in 2013 after former National Security Agency contractor Edward Snowden revealed the extent to which the NSA and other agencies were collecting data on online activity. We all search for things now and then we'd rather not publicize — and with DuckDuckGo, no record is kept of your queries and clicks. But the fact is that the search engine was always a little barebones. 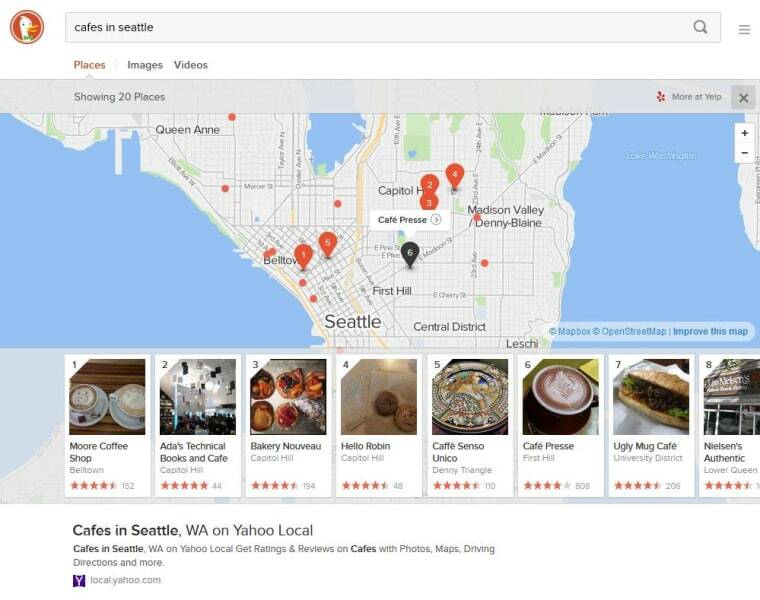 It quickly returned relevant results, but its competitors had images, rich widgets with star ratings of restaurants, maps built right in, and so on. And if it's not sure what you mean by a search, it lets you choose. Did you mean Napoleon Bonaparte or Napoleon Dynamite? Or perhaps the pastry? There are still rough spots, though, particularly in DuckDuckGo's handling of natural-language phrasing. Some queries returned great, rich results, but minor variations on them — adding an "s" or neighborhood — changed everything for the worse; Google and Bing seem much more tolerant of such idiosyncrasies. But perhaps that's next on the roadmap for DuckDuckGo to improve. It's a tremendous improvement overall, though. Finally, the idea of leaving your old search engine behind for one that doesn't track you doesn't seem like a pipe dream.